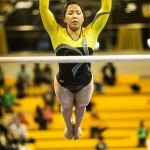 Towson won second place at its first home meet in SECU Arena Friday, Feb. 12. The Tigers overall score was 193.425, while their opponents, Pittsburgh, finished with 195.250, and Pennsylvania received 191.775. 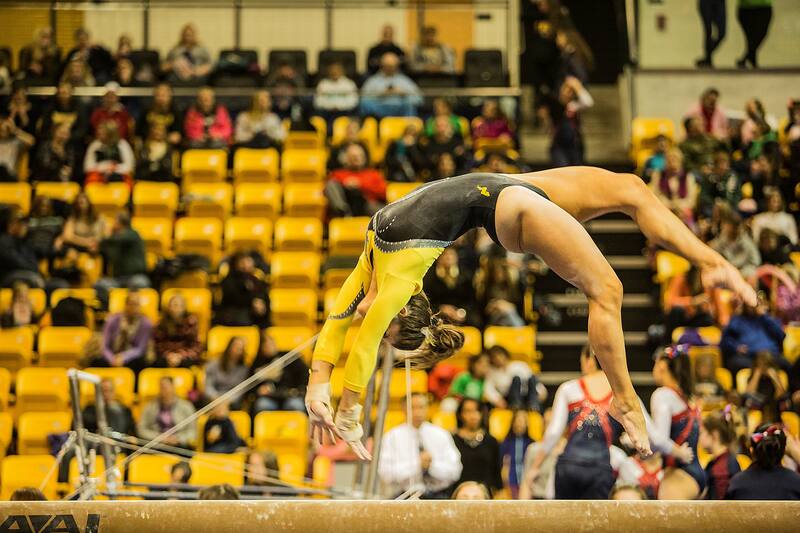 The meet started with the Tigers on the vault receiving a team total of 47.275. Tyra McKellar tied for sixth-place with 9.625, while Aysia Sharif placed ninth with 9.600, and Gabriella Yarussi tied for tenth-place with 9.550. 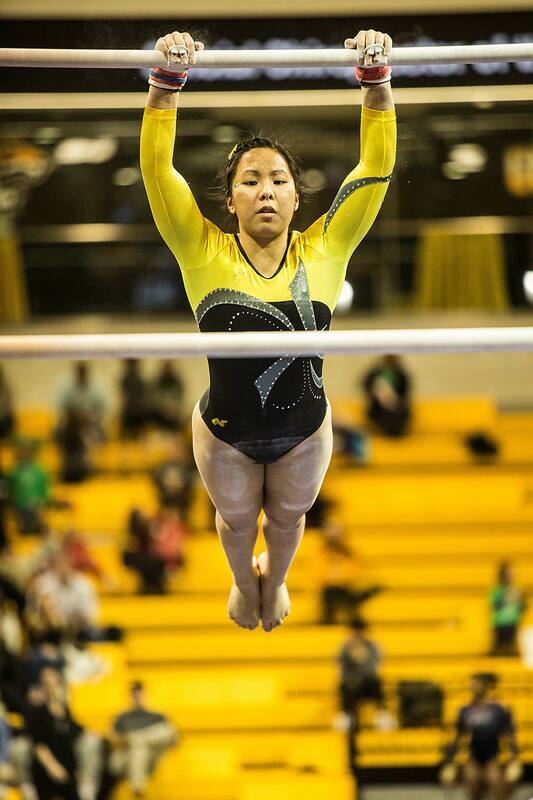 The second rotation was to the uneven bars where the Tigers earned a team total of 48.650. McKellar finished third as she tied her season-best of 9.875 on bars, while Noelle Harada tied for fifth with a score of 9.725. Mary Elle Arduino tied for seventh-place with 9.700, and Katie McGrady and Brittney Ranti tied for 10th-place with matching scores of 9.675. 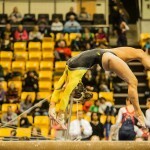 As the meet continued, Towson was in third place until they received some of its highest scores in the last two events. On beam, the Tigers received an overall best team score of 48.975. 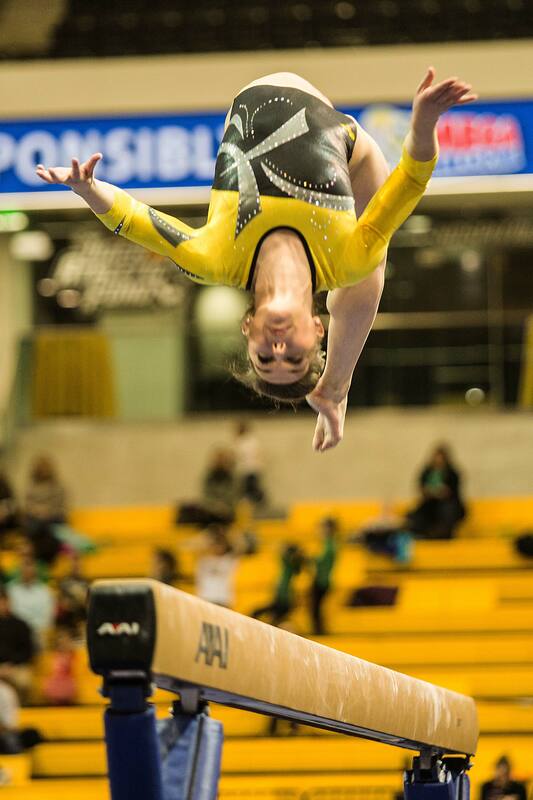 Yarussi tied for first-place on the event with a score of 9.875. Arduino finished third with 9.850 followed by Lauren Cahalan placing fourth with 9.825 and Bridget Steffen scoring 9.775 in fifth place. 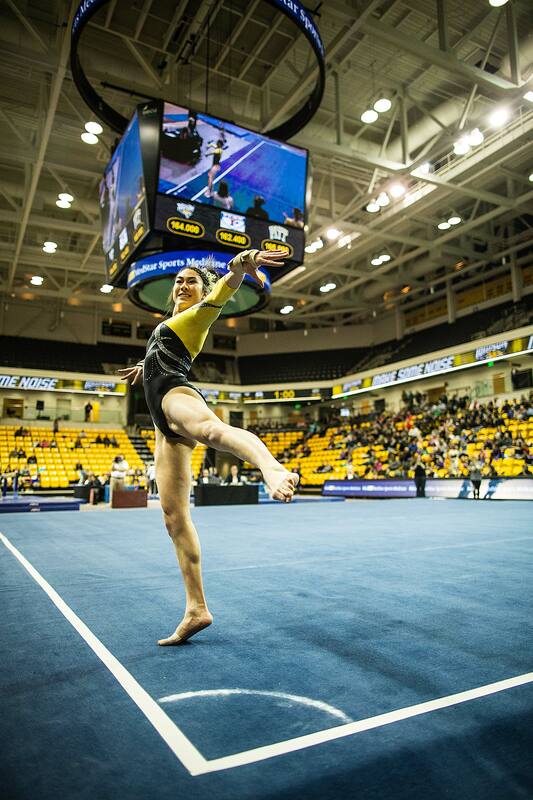 The Tigers ended the meet on floor with a team score of 48.525. Harada and McKellar tied for fourth-place with matching scores of 9.825. McGrady tied for sixth-place with 9.800 and Aysia Sharif finished eighth with 9.775. This home meet was also the Annual Shelli Calloway Alumnae Invitation. The alumnae ranged from graduates of 2015 to graduates of 1971. 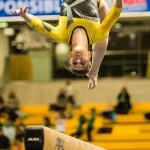 Towson Gymnasts alumna Carol Brustine ‘82, Lori Grant ’81 and Teresa Demorro ’82 were glad to be in the stands supporting the current Towson gymnasts, while reminiscing about their glory days. The Tigers are back in the gym for the week until they travel to the University of Iowa for their dual meet Saturday, Feb. 20 at 4 p.m.